I like bread. Really, really good bread. 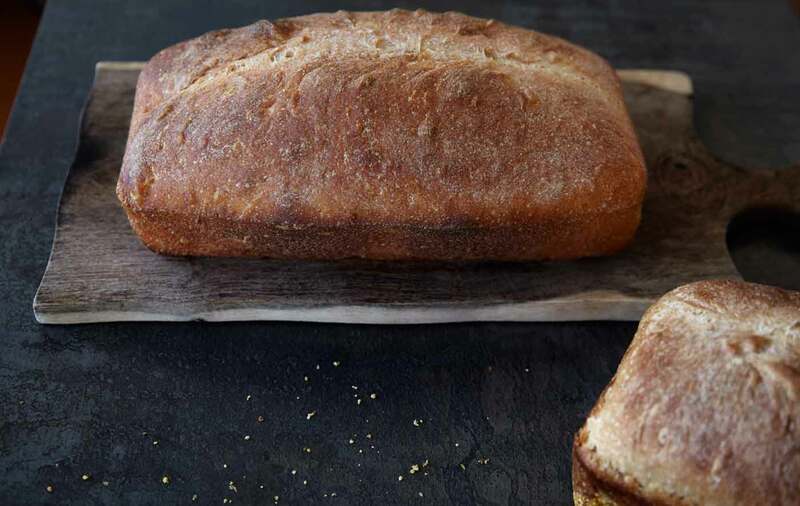 Bread with a crisp, golden crust & a fluffy, melt in your mouth interior. Bread that makes you feel like everything in life is as it should be. But, bread like this comes at a premium, especially when sold at stores often referred to as ‘Whole Paycheck’. In order to appease my unrelenting carb addiction, I had come to rely on freshly baked goodness with the push of a button. And, like a carb addicted monkey, I soon wore that button out. When the humming whirs of my beloved bread machine turned to hammering clunks, my first thought was that of complete annoyance at the inconvenience. I was hungry and I needed dough. I cringed at the thought of having to go back to store-bought bread. Action needed to be taken, and fast! I rushed off to the gigantic warehouse store, thinking only of a new bread maker. But, being a gigantic warehouse store, with it’s tempting gigantic warehouse ways, a gigantic bottle of Pendleton somehow found it’s way into my cart instead. Now, what was I to do? It didn’t occur to me at first to just make bread by hand (even though people have been doing just that for thousands of years)! I thought it would be too time-consuming; having to mix, knead, wait & wait some more. How in the world was I supposed to find the time to do this? But, like Seymour in Little Shop of Horrors, I had to feed the beast. So, I rolled up my sleeves, donned my fabulous purple apron & got to work. The hands-on process provided a sensory experience that could never be achieved by using a machine. It was just the ingredients & me. I would need to be attentive to the process; to listen, smell & feel when it was right. The kneading was needy. The dough would be pushed & pulled, popping with it’s earthy, yeasty aroma. I would need to stand in one place, using only my hands to transform the raw ingredients into a smooth, beautiful sphere. Hands busy, there could be no instant response to the chime of an incoming text, no checking of email, no social media. It was a blissful uninterrupted 10 minutes of just kneading; blending together different elements, creating something new and wonderful. Technology was designed to make our lives easier, simpler, more time efficient. But, it somehow has flip flopped, filling our every waking hour with a of sense urgency. Our minds crave the freedom to wander uninterrupted, in order to reach a place of true creativity. A resting point is needed, a place to reach the beauty of discovery & imagination. 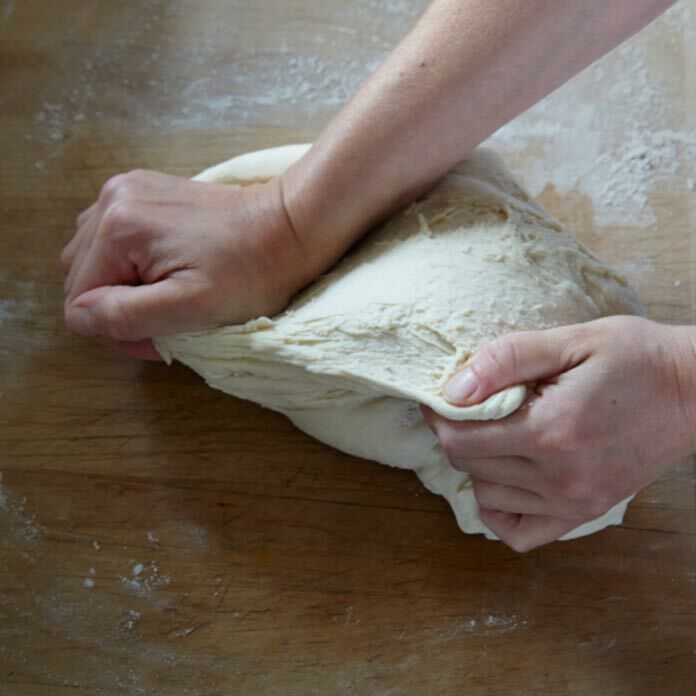 And, like making bread, it’s a place that’s needed to create something new, wonderful & utterly delicious. 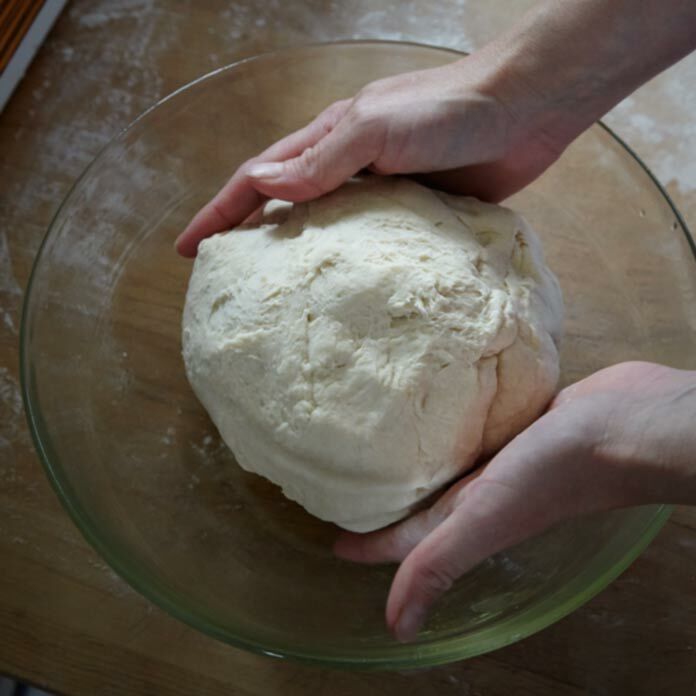 Creativity & The Need For Knead article (text content only) by Alisa Steck is licensed under a Creative Commons Attribution-NonCommercial-ShareAlike 4.0 International License.